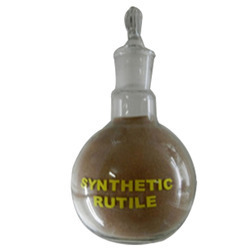 We are a most trusted name among the topmost companies in this business, involved in offering Synthetic Rutile. We offer TiO2 ( Rutile and Anatase ) for the customers, which is known for its great quality. There is a huge demand for this product in making printing ink and paint. Customers can avail this product at cost-effective prices from our organization. We are capable of fulfilling the bulk requirements of the customers due to our superior procurement process. 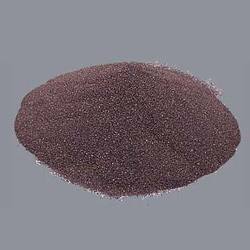 Synthetic Rutile Powder is an excellent agent for oxide Ceramics and refractories. It is processed material activated by chemical treatment. It can be used as sintering flux for Alumina, Basic and Silica refractories. It can be used for production of Titania matt and satin glazes. The brownish colour would be warmer in a suitable glaze for wall and floor tiles.